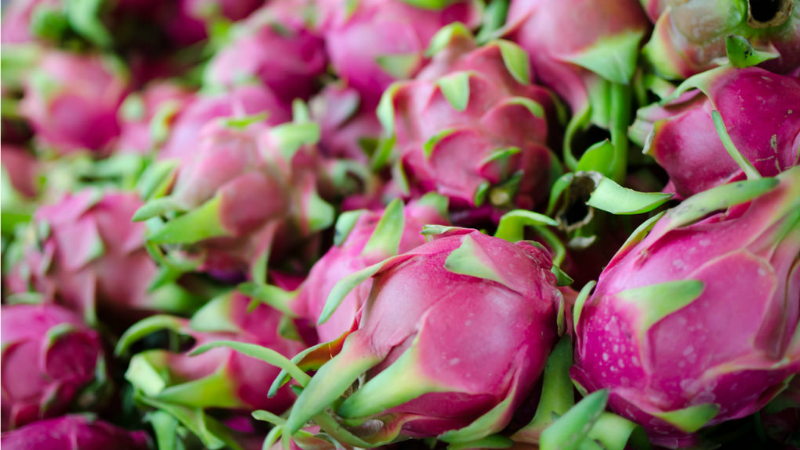 The dragon fruit may be a bit intimidating, with all its spines and whatnot, but the flesh inside is sweet and tart, with a flavour somewhere between a kiwi and a pear. To get at the good stuff, you just need a spoon and a knife. The video above from Lucky Peach can give you the visual, but all you need to do is slice the thing in half (vertically) and, run a kitchen spoon around the edge of the fruit, where the flesh meats the skin. Slice into cubes and enjoy.